Just look at the damn picture! 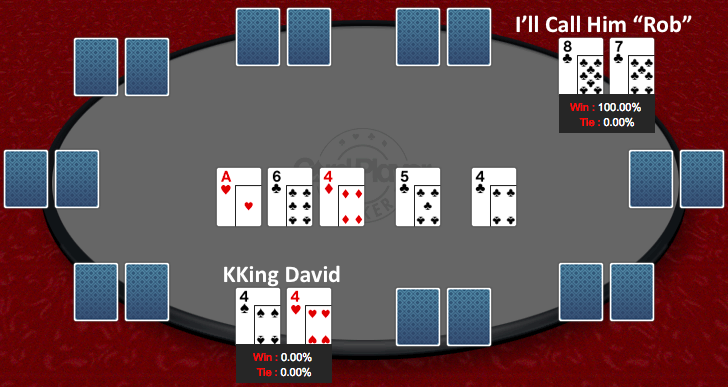 By winning the piggy, Rob doesn’t also qualify for a separate High Hand jackpot, so that’s a small consolation. ‘cept it didn’t hold up.